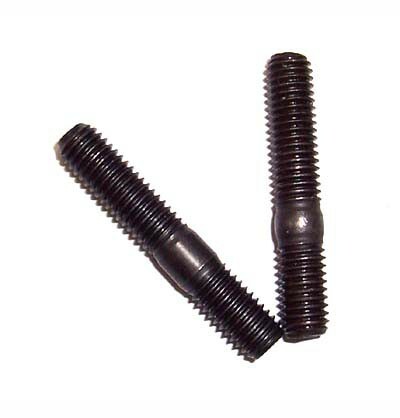 Black Oxide-Coated Exhaust Manifold Stud, Factory Specification for All VW and Audi Cylinder Head to Exhaust Manifold Applications, 8mmx1.25mm Threads. Black oxide-coated exh. manifold stud, factory specification for all VW and Audi cylinder head to exh. manifold applications, 8mmx1.25mm threads. We recommend replacing these whenever possible as snapping off an old, heat cycled, rusting stud is a real downer.